This paper examines the different notions of “fair and responsible” uses of space from the perspective of advanced and emerging space nations. For emerging space nations, access to space applications to support human and environmental security constitutes an important element in their understanding of “fair and responsible” uses of space. Space applications also support social development though provision of services and through supporting improved governance. The rapid evolution of the space arena means that there are now many more actors and many more possibilities for cooperation open to emerging space nations than in earlier years. This, too, raises issues of the “fair and responsible” use of space for both advanced and emerging users of the space environment. 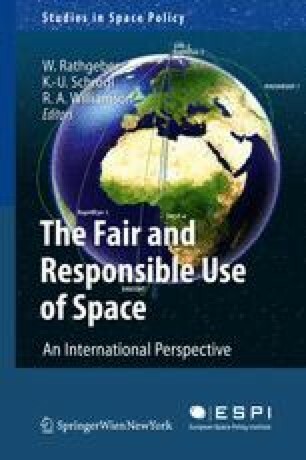 The paper ends with a brief reflection on whether the notion of “fair and responsible” use of space applies to space exploration from the perspective of developing countries.